Lake Tobias Wildlife Park residents take every opportunity to entertain visitors. 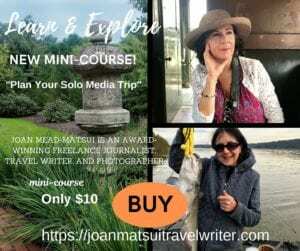 Photos by Joan Mead-Matsui unless otherwise noted. Prepare to fall in love with the animals at Lake Tobias Wildlife Park. You’ll never see the same scene if you visit the wildlife park one or 50 times . A personalized performance and warm greeting from the staff and residents, educational programs for all ages, and a picnic lunch together in the concession area adjacent to Lake Tobias can all be woven seamlessly into your visit. 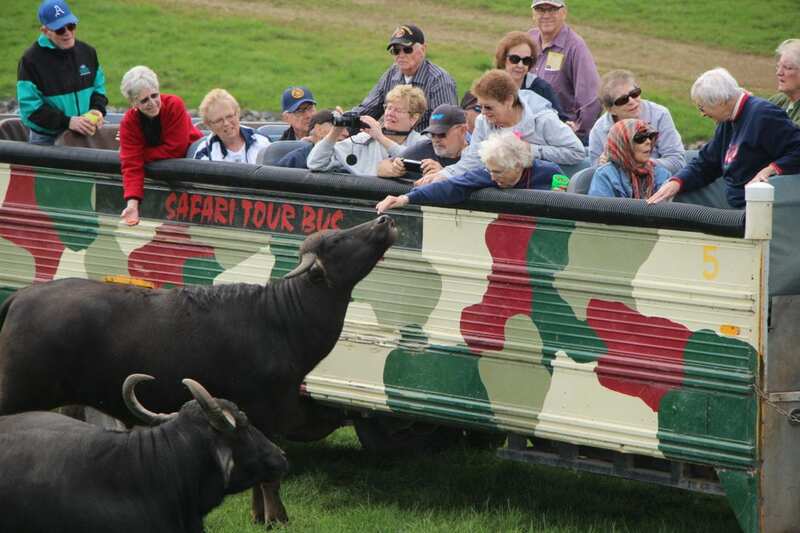 Board the Lake Tobias Wildlife Park Safari Tour to meet the animals who roam on 165 acres. If you’re a parent, you already know children grow up in a heartbeat. Savor those moments with your kids and reserve a day to visit Lake Tobias Wildlife Park, Halifax, Pennsylvania. If your children are grown and you miss those carefree afternoons at the zoo, you too should plan a visit. 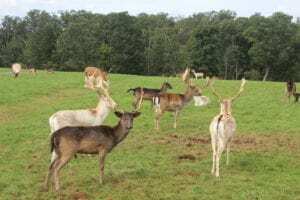 The wildlife park is reminiscent of an old-fashioned zoo I came to know in Northeastern Pennsylvania as a child growing up in the 1960s and 1970s. Although the former Nay Aug Park Zoo operated on a much smaller scale, weekly visits to the petting zoo and main park building cultivated a love and respect for animals that has grown stronger over the years. I’m so pleased the Tobias family chose to carry on the tradition of Lake Tobias Wildlife Park with affordable family engagement and hands-on learning. You can thank J.R. Tobias for his vision and diligence that has spanned more than 50 years. Although this wildlife park dates back to 1965 on a tract of land where J.R. Tobias was born and raised, numerous expansion and renovations have enabled the Tobias family to continue their father’s dream by enhancing the park’s offerings and highlighting a variety of wild and exotic animals. The most notable improvements have occurred in the last 15 years with several new additions: custom-designed, expanded habitats for the tigers and black bears, African lion and baboon facility, custom-designed Reptile and Exotics’ facility, food service areas, relocated and expanded Safari Station, J.R. Tobias Museum and Education Center, and the opening of a giraffe exhibit. Plans for additional exhibits are also in the works. 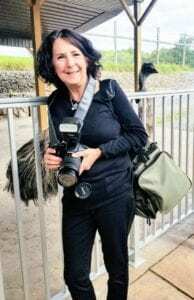 Jan Tobias-Kieffer is one of J.R. Tobias’ seven children who have chosen to carry on the Lake Tobias Wildlife Park tradition. 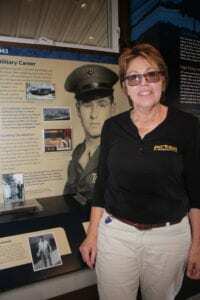 Jan is shown inside the J.R. Tobias Museum and Education Center. J.R.’s daughter, Jan Tobias-Kieffer, said the wildlife park was a hobby her father could fall back on in his retirement. 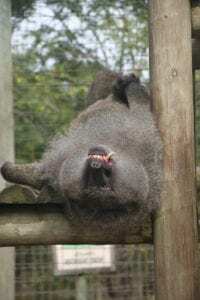 J.R. Tobias died in 1996 but his wife, Pauline, still lives in the homestead and six of the couple’s seven children and a grandson own and manage the wildlife park. Immediately, upon your entry into the park, you’ll notice the special care given to all the animals. They’re highly-socialized creatures that are genuinely happy to mingle with park guests. 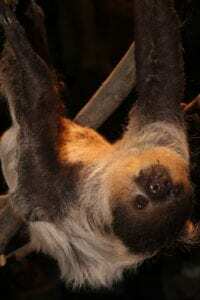 Meet the animals in person as I did on Thurs., Sept. 27, 2018, during my tour of the park. The park was at the top of my list of Harrisburg-Hershey attractions. I brought my life-long friend, Pennye Rosenfeld-Weinstein along to share in the fun. 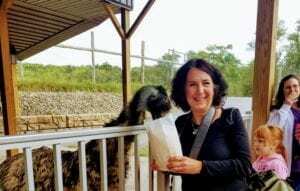 After dashing from my car to pick up our tickets at the Safari Station, we bought a large bag of popcorn to take with us to feed the animals we met on the safari. We made our way to the front of the line (yes, we cut in front of other visitors) so I could photograph Lenny, the Emu, classified as second-largest living bird by height and native to Australia. Lenny was a mooch, to say the least. Lenny, the Emu, didn’t waste any time when he knew popcorn was awaiting him at the gate. Photo by Pennye Weinstein. Be prepared to greet the animals up close and personal at Lake Tobias Wildlife Park. Photo by Pennye Weinstein. Thousands of children each year meet and greet the animals at Lake Tobias Wildlife Park. Their interaction allows them to learn more about an animal’s lifestyle and feeding habits. 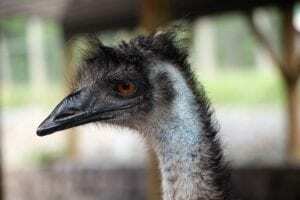 Lenny the Emu is an example of the pleasure children derive from a visit to the wildlife park. Lenny spends his days hanging around by the Safari Station while waiting for guests to share their snacks. Watch this documentary and learn the history of Lake Tobias Wildlife Park. The film was produced by Rutan Productions company and provided courtesy of Chip Rutan. The fleet of safari cruisers are ready for the crowds that visit Lake Tobias every year. Adventure-seekers can opt in for the 45-minute safari tour by purchasing tickets at the welcome center. Our personal tour guide stopped numerous times along the Safari trail to allow visitors an opportunity to snap photos and greet and feed the animals. 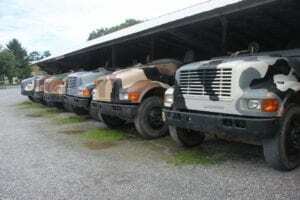 A fleet of “chop-top” safari cruisers are available to accommodate visitors who arrive at the park each year. You’ll find the hours of operation and directions to the park here. Allow ample time to visit each of the exhibits at the park. The African Lion, American Alligator, American Black Bear, Asian Water Buffalo, Bengal Tiger, Burmese Python, Capybara, De Brazza, Monkey, Dromedary Camel, East African Crowned Crane, Eland, European Fallow Deer, Gemsbok, Grant’s Zebra, Green Tree Python, Marmoset, North American Bison, Ostrich, Peacock, Red Kangaroo, Rhea, Suri Alpaca, Tamarins, Two-Toed Tree Sloth, and the Watusi are among the animals you’ll find throughout the park. 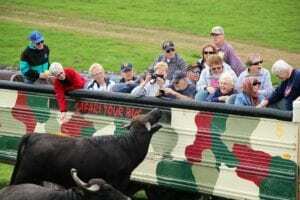 Each tour guide is well-trained and educated with an abundance of knowledge about the animals roaming the 150-acre countryside. Ask questions and expand your knowledge. Ah, they were waiting to greet us as the tour guide navigated the safari bus along the straight and narrow trail. 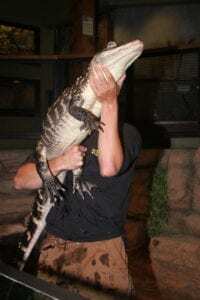 Are you skittish about reptiles? 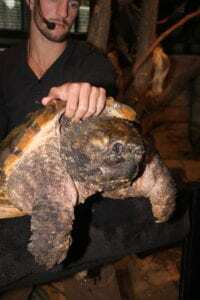 The Reptiles and Exotics Facility is where you can work on your fear. If not, move on to the lizards, tortoises, tropical birds, lemurs, tamarins, and the sloth who was particularly active during my visit. Check the schedule for an educational demonstration that will round out a perfect day at the park. CHECK OUT SOME OF THE FRIENDS I MADE AT THE PARK. 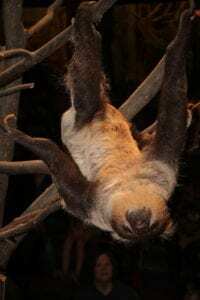 When the sloth is active, you’ll see him make his way up and down the branches. The crowd had time to study the GIANT Tortoise. Professional handlers and educators run the educational demonstrations held throughout the day. 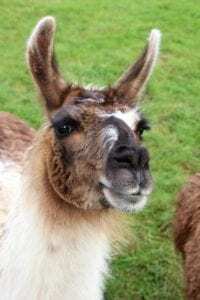 As the self-sustaining, family-owned Lake Tobias Wildlife Park continues to grow and attract more than 170,000 visitors each season, my readers should also be aware that this enduring and charming entity relies strictly on park revenue to feed the animals and support its educational and building programs. I know you’ll also feel the love and respect that emanates from each exhibit. As for J.R. Tobias’ children, who’ve never known a life without their animals, Jan told me she is grateful to be a part of her father’s calling. She noted, “We always thought it (growing up in a park) was normal for us – peacocks yelling in your bedroom window, whereas our friends thought this was really cool. 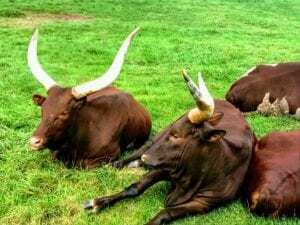 For us, it was an everyday thing,” Jan said. Lake Tobias Wildlife Park is located at 760 Tobias Road, Halifax, Pa. For updated hours or other information, call 717-362-9126 Mon., to Fri., 10 a.m. to 6 p.m. or email info@laketobias.com. For more information about Hershey and Harrisburg attractions, visit www.VisitHersheyHarrisburg.org. My trip was hosted and comped by Visit Hershey & Harrisburg but my opinions are my own and are based on my personal experiences. “Join the Force for the Resource” is the theme for the Discover Outdoor Connecticut, a free event sponsored by the DEEP Bureau of Natural Resources. The family program will be held Sat., Sept. 22 from 10 a.m. to 4 p.m. Scroll down for the time, location, or directions. The goal for the Discover Outdoor Connecticut free family program is to educate and encourage young and old alike to experience Connecticut’s year-round natural resources. Fly tying is one of the instructional activities planned for the event. Discover Outdoor Connecticut got its start in 2010 as “Hunting and Fishing Appreciation Day,” as a way to thank hunters and anglers for their roles as the key players in the conservation movement for more than 100 years. The event was renamed “Discover Outdoor Connecticut: Join the Force for the Resource” to reflect the DEEP’s goal to expand the program’s offerings to include a wider variety of outdoor enthusiasts. 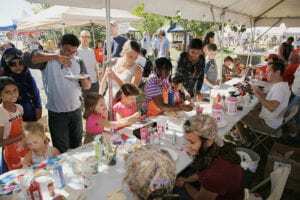 Join the Connecticut Bureau of Natural Resources, Department of Energy and Environmental Protection, Wildlife Division and their guests on Sat., Sept. 22, 2018, at the Franklin Swamp Wildlife Management Area, 391 Route 32, North Franklin, CT for a fun-filled exploration of Connecticut’s fish and wildlife resources and the state’s legacy of outdoor traditions. Andrew provides more details about the event in an exclusive joanmatsuitravelwriter.com interview. What role do you have in Discover Outdoor Connecticut? I am the chairman of the event, responsible for contacting potential vendors and attendees, organizing and running monthly meetings, activities, and events, creating maps and brochures, and making sure things run smoothly on the day of the event. What brought about this event and how many years has your organization offered this free program? It was our goal this year to expand the event to include a wider variety of outdoor enthusiasts, and therefore we renamed the event “Discover Outdoor Connecticut: Join the Force for the Resource.” Joining in the celebration of this year’s event are DEEP’s Air Management, Parks and Public Outreach, Wildlife, Fisheries, Habitat, Forestry, and the Environmental Conservation (EnCon) Police Divisions, as well as many others, such as private hunting and fishing clubs, environmental education centers, foundations, and conservancies. Children will have an opportunity to try their hands at crafts. “Build a Bluebird Nest Box” is one of the activities planned. What is the ultimate goal i.e. resource conservation and preservation? The ultimate goal is to expose as many youths and adults as possible to some type of outdoor related activity and raise awareness about resource conservation and preservation. Hunters and anglers have been the primary source of funding for state fish and wildlife agencies to manage and conserve fish and wildlife populations and also purchase wildlife habitat for protection. The management efforts that benefit Connecticut’s natural resources not only include fish and wildlife, but the air, land, water, and woods in which those animals live. Funding to support our natural resources shouldn’t just come from hunters and anglers, but from all residents, particularly those who enjoy the outdoors. By introducing Connecticut residents to our state’s diverse natural areas and the fish and wildlife that live there, it is hoped they develop an appreciation and a sense of stewardship. Additionally, time spent outdoors benefits both our physical and mental health. Reconnecting people with nature is tremendously important. What can attendees expect to find at the Franklin Swamp Wildlife Management Area? The Franklin Swamp Wildlife Management Area consists of a 300-acre property open to all types of hunting including small game, waterfowl, pheasants and deer and includes a facility housing biologists with the Deer, Turkey, Migratory Bird, and Mosquito and Wetland Restoration Programs as well as a training area for conservation education programs. On September 22, the facility will hold the Discover Outdoor Connecticut event which will include activities such as dog and raptor demonstrations of various sorts, milling and trapping demonstrations, opportunities to try turkey and moose calling, locally made venison products, kayaking, fly tying and casting, archery and firearms shooting, bb and dart gun shooting, and opportunities to gain knowledge in hiking, backpacking, knot tying, water filtration, wild edibles, bees and insects, and much, much more. Looking for a relaxing way to spend your Saturday? Fly Tying, Archery, Decoy Painting, Birdhouse Building, and K-9 Search and Rescue are a few of the activities and educational offerings planned for the Discover Outdoor Connecticut program on Sat., Sept. 22, 2018. What are a few of Connecticut’s most endangered species and/or resources and how do you address those issues at the program and throughout the year? Connecticut’s most endangered species include meadowlarks, timber rattlesnake, cave-roosting bats like the little brown bat, and many other birds, mammals, reptiles, amphibians, invertebrates like monarch butterflies, and fish like the Atlantic sturgeon. We provide a variety of information about both rare and common wildlife at the event. 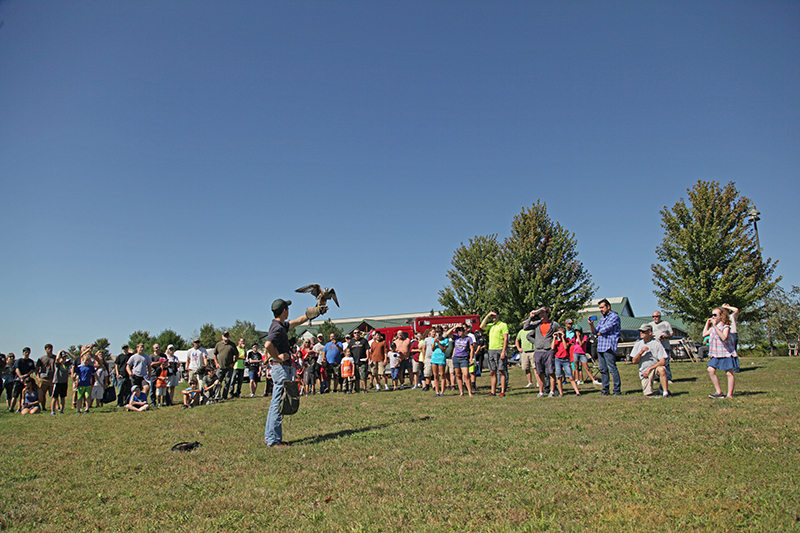 We will also have live raptor demonstrations, which will touch upon the threats these birds have faced as well as some conservation successes. Throughout the year, the Wildlife Division’s Wildlife Diversity Program biologists focus on the management and research of a large number of species of greatest conservation need which range from charismatic species such as bald eagles and box turtles to secretive species such as red bats and bog lemmings to critically endangered species such as barn owls and bog turtles, and more. The Division’s Outreach Program works to inform Connecticut residents about the plight of these species and what people can do to help. Describe past programs and how they’ve helped to bring awareness to Connecticut’s natural resources. Past events held by the Wildlife Division, whether they were public programs at our Sessions Woods Conservation Education Center or larger events like Hunting and Fishing Appreciation Day or the recent Bat Appreciation Day at Old New-Gate Prison, have engaged the public and offered information and hands-on experiences related to fish, wildlife, and our state’s natural resources. These programs have not only increased awareness of our agency’s role in caring for and managing wildlife and habitats, but they have helped build an understanding of the value and importance of wildlife, fish, and natural resources. They also highlight how effective we can be at conservation when we work together. Who should attend the Discover Outdoor Connecticut event? What is the age range of attendees you’d like to see? Anyone who has at least a passing interest in the environment around them should come to enjoy what the day has to offer. It’s not something you can experience virtually through your smartphone or tablet. Nothing can replace the first-hand experience in the outdoors—from newcomer to novice, young or old—Discover Outdoor Connecticut day has something for everyone. The sooner a person is exposed to the outdoors and all the amazing things it has to offer, the sooner they learn to appreciate where they live and how it should be respected. There simply are no apps for that. How have your sponsors embraced the DEEP program? 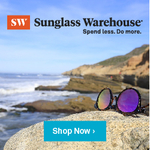 What will they bring to the Discover Outdoor Connecticut? Since its inception, the event has had the tremendous support that has continued through the years. 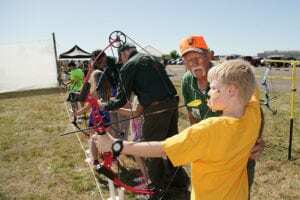 Local sportsman’s clubs and conservation groups have been long-time participants at the events bringing their support, local knowledge, and expertise. 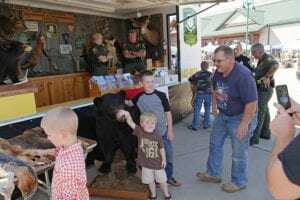 Local chapters of the Wild Turkey Federation, Rocky Mountain Elk Foundation, Trout Unlimited also support the event along with national retailers such as Cabela’s, Bass Pro Shops, L.L. Bean, Mossberg, and Home Depot, who not only bring volunteers with additional skills and knowledge, but also provide generous donations for door prizes that contribute greatly to the enjoyment of those who attend. Typically, how many photo entries do you receive for the photo contest? What are some of THE MOST intriguing, creative, and captivating? How is the winner(s) recognized for his/her efforts? This is our first year holding a photo contest and we have received over 300 entries. Ribbons and prizes (gift cards) were donated by the Friends of Sessions Woods, which has been instrumental in supporting many of our educational programs and exhibits. 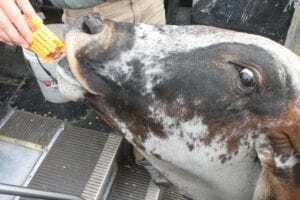 Anyone who wants to see the most intriguing, creative, and captivating photos should attend Discover Outdoor Connecticut Day, where they can sample some tasty venison samples prepared by Adolf’s Meats of East Hartford all while viewing the photos in person. Attendees will have the opportunity to vote for their favorite photo, which will be awarded as the “People’s Choice” during the event. The contest winners will be recognized in future outreach efforts such as Connecticut Wildlife magazine. Do you require preregistration or are drop-ins welcome? Preregistration is not required and we very much welcome folks to simply drop in and spend as much time outdoors with us as they can. Do you have in-house instructors teaching the various activities? All of the shooting activities would not be possible if it wasn’t for a large group of volunteer instructors with our Conservation Education and Firearms Safety program who teach both firearms and archery skills. In addition, staff and volunteers with expertise in fisheries, wildlife, trapping, forestry, boating safety, outdoor education, and with working dogs of various types, all play a critical role in sharing their knowledge about our environment. Please name a few of the year-round outdoor activities available to Connecticut residents and visitors. If you go, you’ll find directions to the Franklin Swamp Wildlife Management Area, 391 Route 32, North Franklin (here) Parking will be on-site.